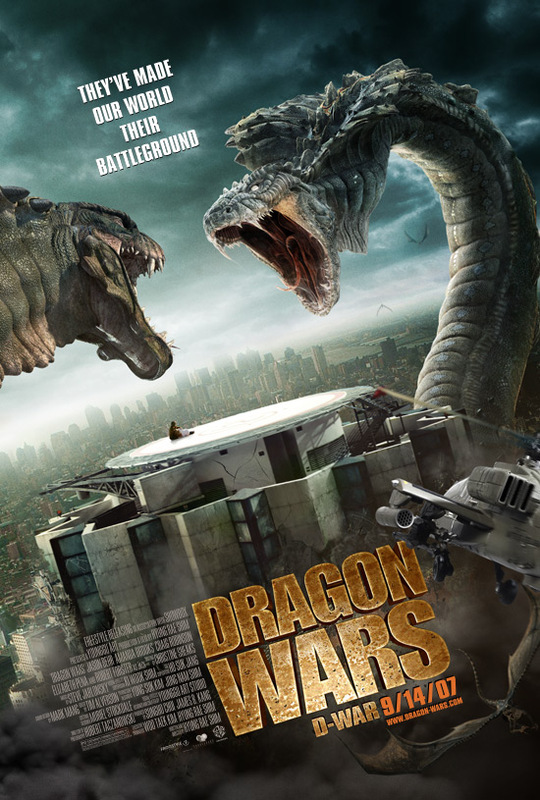 Yup, that about says it for D-war or Dragon Wars. If you forget about the PC-game graphics, the acting that is so wooden you can build a bookcase from it, the script that is so without irony it is actually laughable and the longest PR campaign in Korean cinematic history. As far back as 2002 former gagman turned director Shim Hyung-rae 심형래 decided the world needed another monster movie after his less than successful attempt to conquer the hearts of the monster loving crowd with Yongary 용가리 (aka Reptilian marketed as Bigger. Badder. Meaner.). With a budget of between 32 to 76 million dollars the most astounding aspect of the movie is that it actually did not lose money. More than five million Koreans went to see it, in a mood which must have been akin to that of a 19th-century family going to the freak show: not because you like it, but because you heard so much about it. One would be hard pressed to explain why D-War did not bomb otherwise (well, it did bomb everywhere but South Korea). I admit, it has all the ingredients of a good pulpie: ancient legends, reincarnations, great B-actors (in particular Robert Forster), a medieval pendant, implausible plot turns and twists, inappropriate special effects and lots of running around. But it lacks those two ever so important elements of the true pulp movie: a convincing bad guy slash evil genius slash really scary monster (I had trouble telling the good and the bad monster apart) and unabashed fun and irony. There was just no fun in this movie. None in the script and none in the direction. It’s earnest, serious, hard-going monster movie from beginning to end. Hard graft from the opening credits till the predictable end. The closest I got to a laugh was during the most serious moments. And even then… Master Lee was flabbergasted at the scale of the movie, but also fell asleep a couple of times. Not so masterly pulp.